AI and brand marketing is a mixture of words that you might not have imagined in the same sentence some twenty years ago. In the past decade or so, artificial intelligence as a field has progressed in leaps and bounds to make this a possibility. For the layman, artificial intelligence or AI (as it is colloquially known) simply refers to any form of intelligence displayed by a machine or software application. It is an open secret that targeted marketing is an important process that affects the sales of any particular brand. Marketing is a skill that takes a lifetime to perfect. It requires creativity and an innate knowledge of the target audience. This looks like it might be changing very fast. Software with artificial intelligence might actually be doing a better job of promoting brands than humans. Some consumers say that there is no true substitute for the “human touch”, however, that is up for debate. Many global companies have implemented artificial intelligence in marketing strategies and it is paying huge dividends. A good example is Sephora. Apart from the very generous Sephora offers that you see on all sorts of makeup nowadays, you can now use their online Virtual Artist, which helps women pick out brands of makeup by simulating how it looks on actual facial features in a virtual environment. The app is a huge hit among shoppers of all ages, as it makes the whole shopping experience much easier. Reports have it that over 60% of tech users make use of apps that are powered by artificial intelligence. Google Maps, which is a hugely popular navigation app, makes use of artificial intelligence. Recent studies have estimated that a mind-blowing 60% of commerce brands will utilize artificial intelligence by the end of this year. 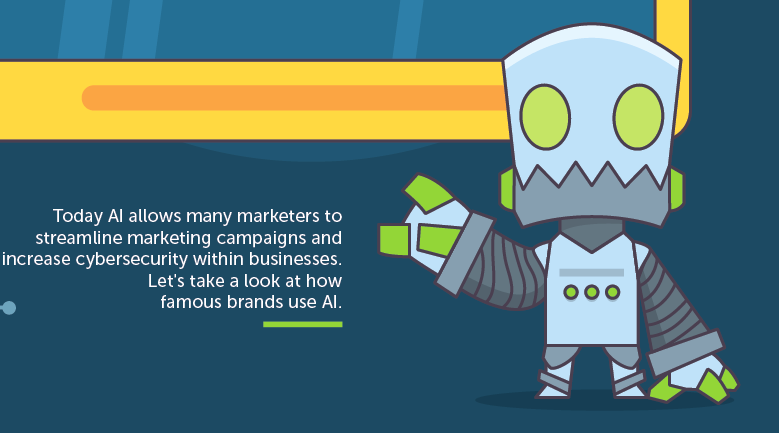 How then have brands managed to seamlessly incorporate artificial intelligence into marketing strategies? American chain store giant, Nordstrom, has ‘Style Boards’ which enables its sales team to send personalized suggestions to customers. Nike is perhaps the biggest sporting brand in the world; a fact that it has keyed into with its ‘Nike On Demand’ system. Its artificial intelligence software pushes you to work out and eat healthy with motivational quotes and personalized tips for you. Keep in mind that these messages often come with the latest offering in sports gear from Nike, and you have a marketing campaign that is virtually infallible. Google is arguably the biggest user of artificial intelligence worldwide. It is estimated that the tech giant spent approximately 30 billion dollars on AI development in 2016. A casual check on your mobile app store will show you that its apps are consistently ranked high. Its investment has definitely paid off. Google’s apps such as Google Translate promise 98% accuracy with an unmatched AI system. Add to that the fact that its AI voice recognition system can reduce cyber crimes by over 85%, and you have a product that sells itself. Even your average Apple iPhone makes use of AI in its facial recognition system. They come outfitted with the most popular virtual assistant in the form of Siri. It is therefore not a surprise to see that Apple’s profits at the end of each year only seem to be increasing. It might be threatening to reduce the importance of humans in the marketing department, but there is no doubt that AI is a major driver for major brands around the world.